SKF NOTE: A snippet from my 1983-84 interview with Frankie Dunlop. What’s missing here is the sound of Frankie’s voice. He was an amazing impersonator. When he was quoting Thelonious Monk here, he became Thelonious Monk in speech and manner. Very funny to witness, and a great way to drive home a point. 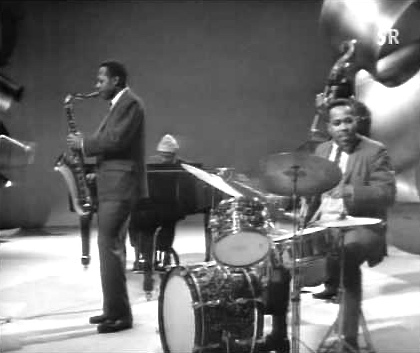 Frankie Dunlop with Monk Quartet on T.V. Scott K Fish: Did you rehearse much with [Thelonious] Monk’s quartet? Frankie Dunlop: Would you believe that we never had one rehearsal? I played with him for three years and we never rehearsed. The first night Monk asked me to join his band I was anticipating a couple of months of rehearsals. But, I played my first job with him the next night. Another thing Monk told me, he said, “Y’know, cats come in here with their new horns, their new shiny trumpets. Usually I find that the shinier, the more beautiful the horns are, the sadder the cats sound. The less they can play, you know? “Even you, Frankie. When I first saw you play, if you had had cymbals that were sparkling and blinding me in the eye, I wouldn’t have hired you. You wouldn’t have had a chance to get into them and make them mellow. In other words, you don’t have time to get adjusted to the instrument if you just bought it. When I first heard things like that I laughed at them. And they’re still funny. But when you boil it down, these geniuses would say these things — and they do make sense. There’s a lot of truth in it. But the way Monk put it — it’s funny. He was talking about musical instruments and musicians having the change to age and develop. SKF: Do you still have the same cymbals and drums you used with Monk? FD: I have the same cymbals, but not the same drums. I added a couple more cymbals when I was playing with [Lionel] Hampton. I have a Sizzle Ride cymbal on my right side. I still have the Gretsch snare drum that Jake Hanna gave me when I joined Maynard’s band. It’s one of the first chrome snare drums Gretsch made. I have a Slingerland snare drum that I use too. My bass drum is a 20-inch Slingerland. My tom-toms are 8×12 and 16×16. 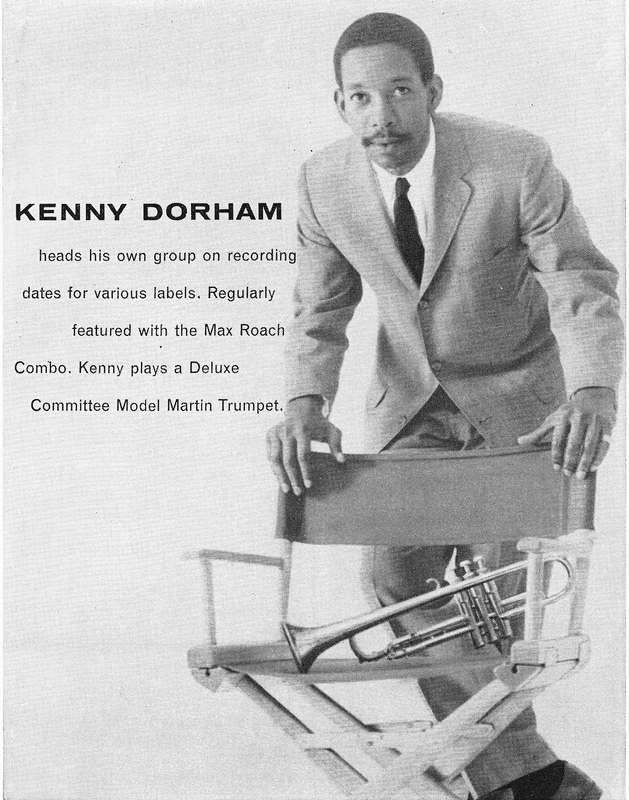 This entry was posted in Uncategorized and tagged Frankie Dunlop, Gretsch, Kenny Dorham, Modern Drummer, Scott K Fish, Slingerland, Thelonious Monk. Bookmark the permalink.